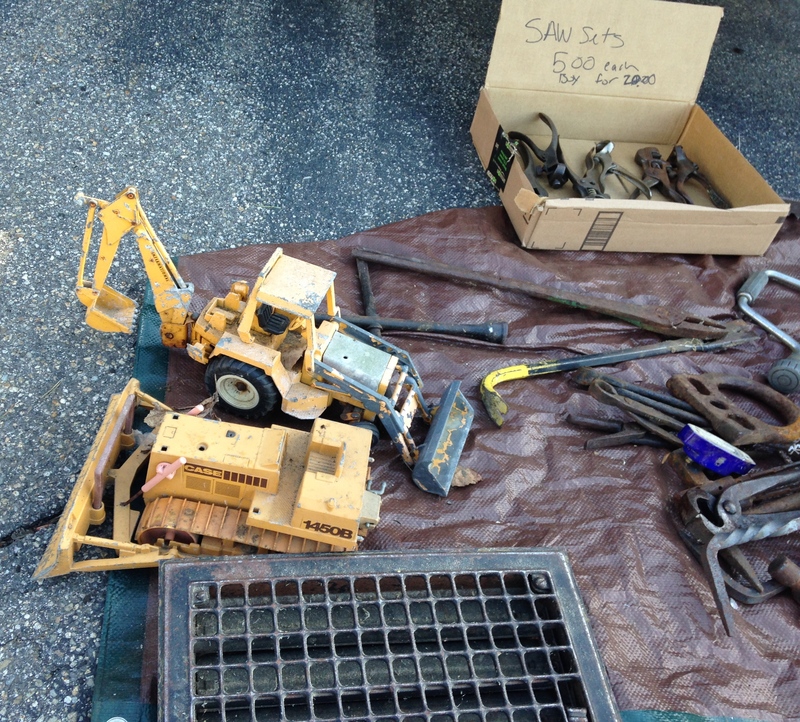 How many tools are in your Tool Chest? 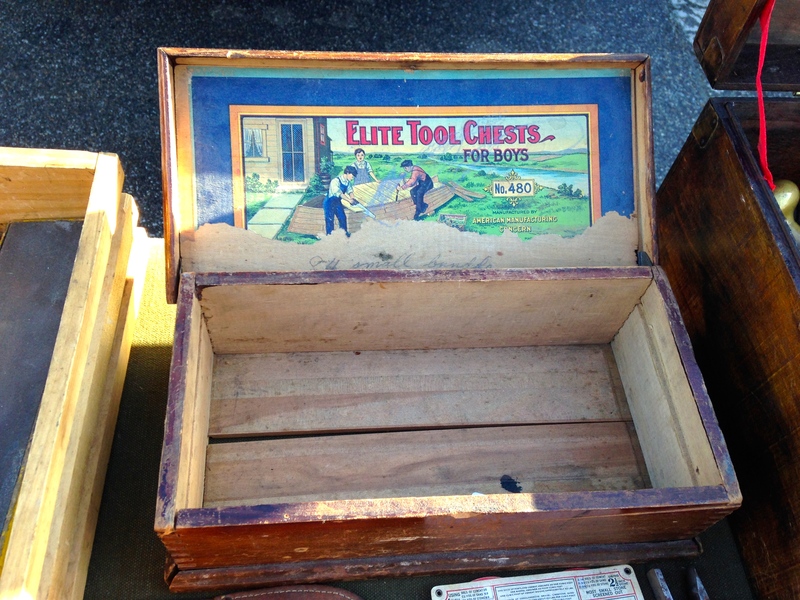 Tool chests come in all shapes and sizes — from the hand built traditional joiner’s chest, to a mail order gentleman’s chest, to the plastic fantastic junk you find in big box stores today. 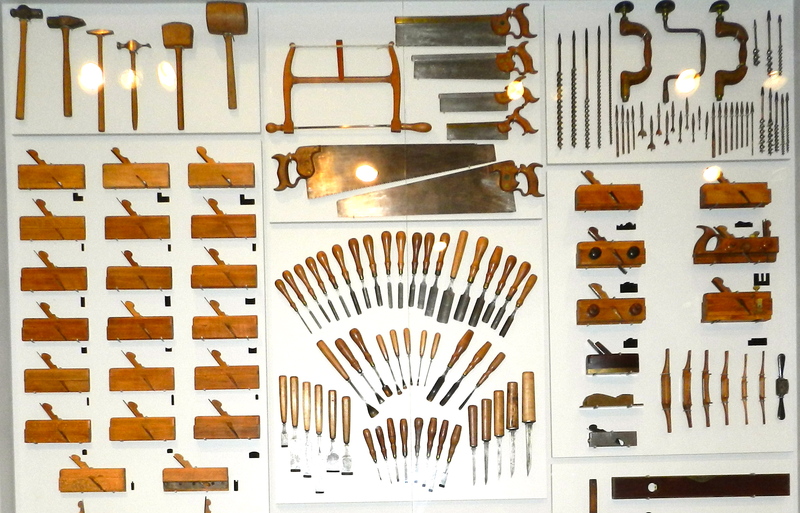 Depending on what kind of work you do the number of tools you have in your chest may vary, but at some point I think all traditional craftsmen (and craftswomen) wonder how many tools they can actually fit inside their primary chest. How many tools can you fit into your tool chest? Don’t worry, if you want to cram in a few extra items before we start counting I’m willing to wait. 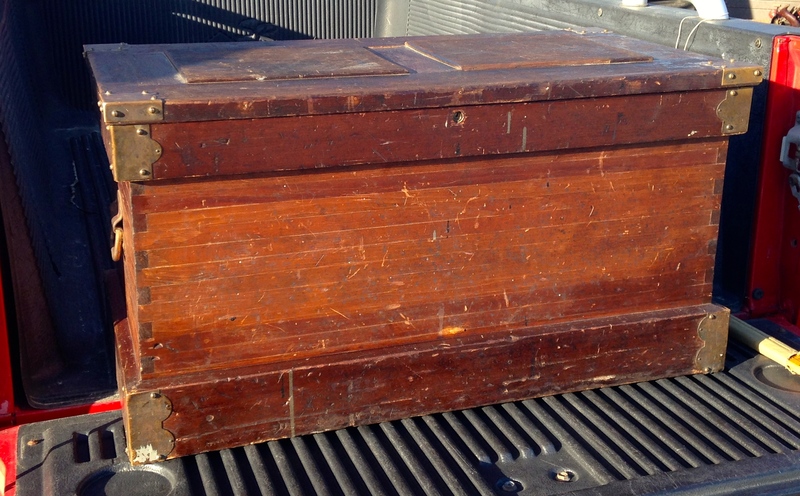 Alexander Forbes Tool Chest from the Mid-Late 19th century. 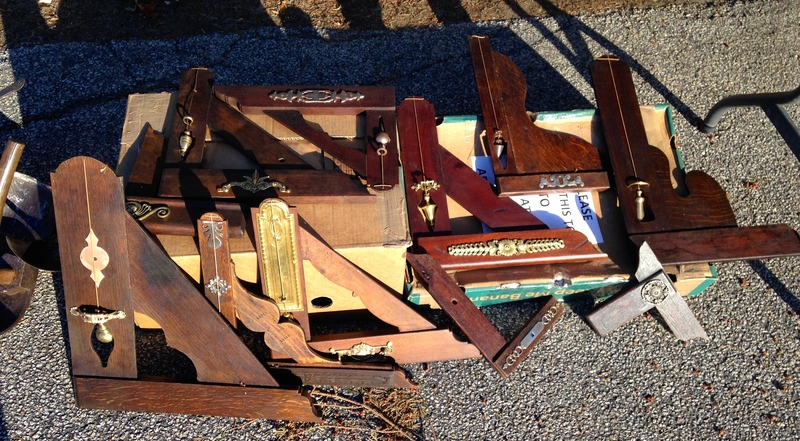 How many tools did you to fit in your chest? How about 500 tools?! 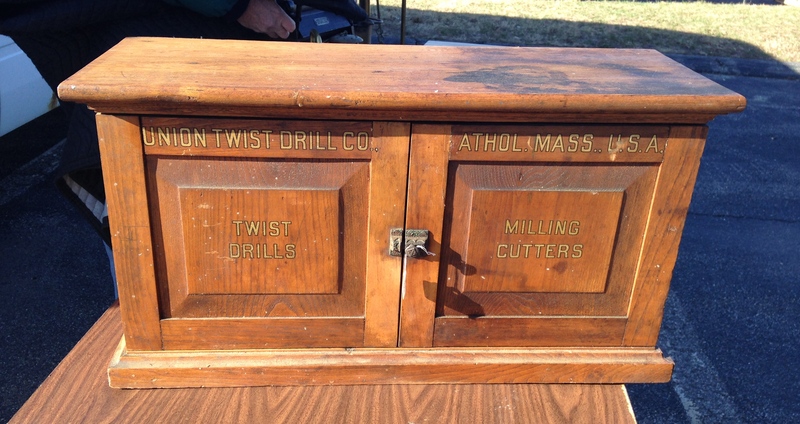 That’s right, the tool chest shown here once belonged to Alexander Forbes who was a cabinet maker and Pullman car builder from Cleveland Ohio contained over 500 traditional woodworking tools. 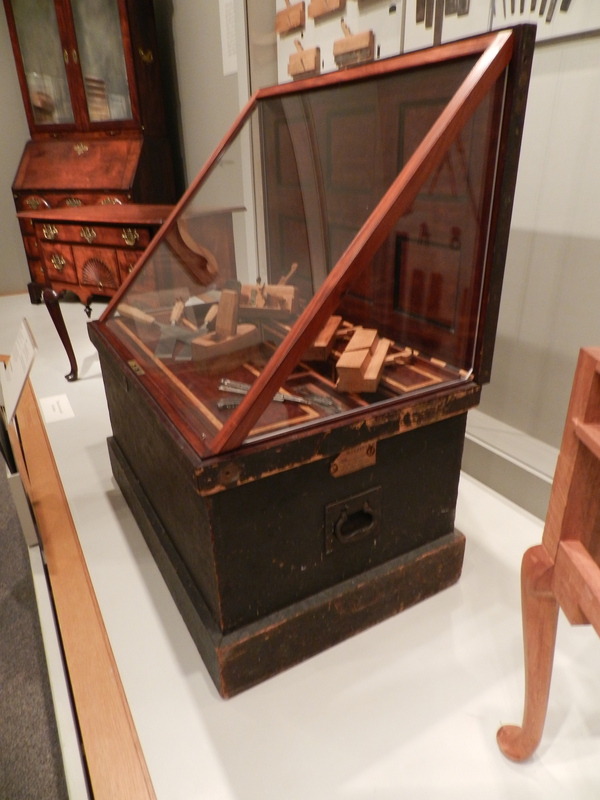 This tool chest is currently on display at the Winterthur Museum and Gardens in Delaware and is part of the 400 Years of Massachusetts Furniture display at the museum. 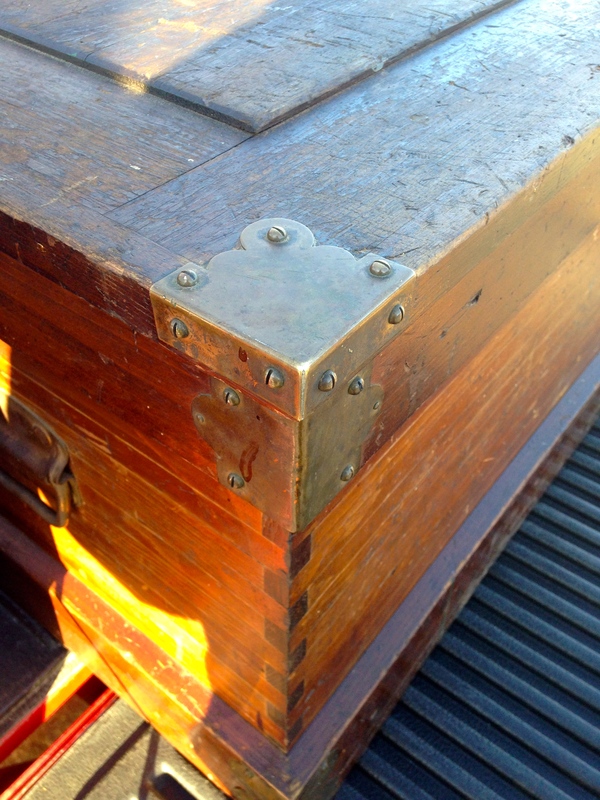 On the wall behind the chest you will see over 100 tools on display from this chest that dates to about 1880. 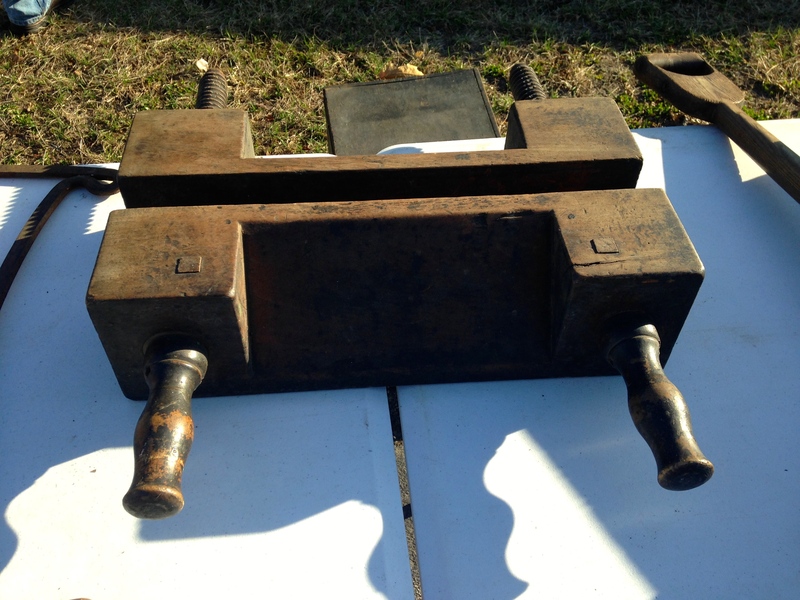 The tools look like they are in exceptionally good shape and would be right at home on my own workbench. 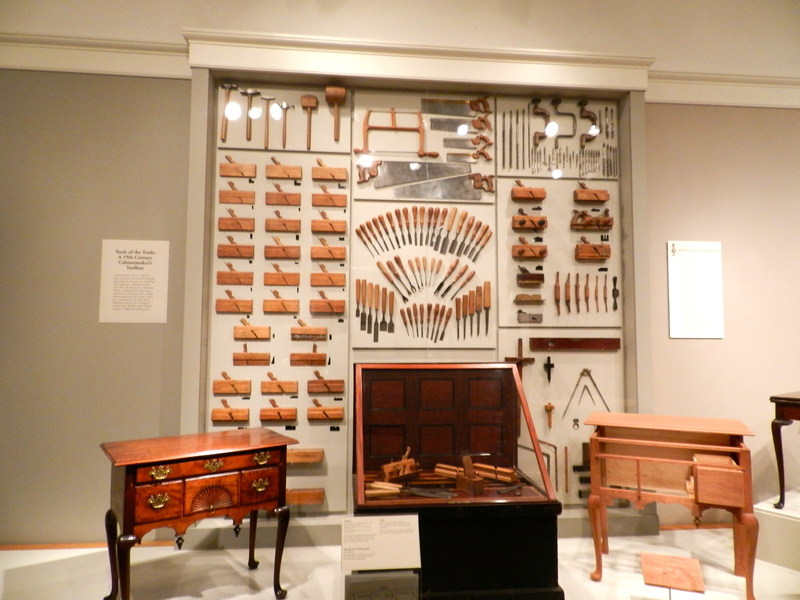 This set is representative of the kinds of tools a cabinetmaker would use to make many of the pieces on display in this exhibit. 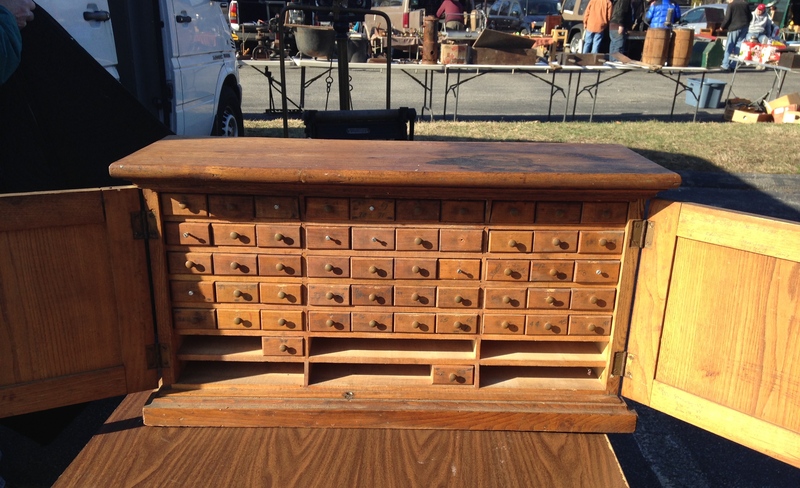 Don’t let the painted and time worn exterior finish fool you, the interior of the chest was well laid out and carefully constructed with mahogany tills proudly inlaid and showing off the woodworking skills of Alexander Forbes. He apparently also had incredible spacial relation skills to fit that many tools into that fairly average sized chest and to it in such a way that the tills etc do not get beat up in the process. Having said that I assume he likely only crammed all the tools in there for longer trips; I would think for efficiency purposes he’d likely partially unpack/deploy tools just to make enough room in the chest to access all the tools he’d need on a daily basis. 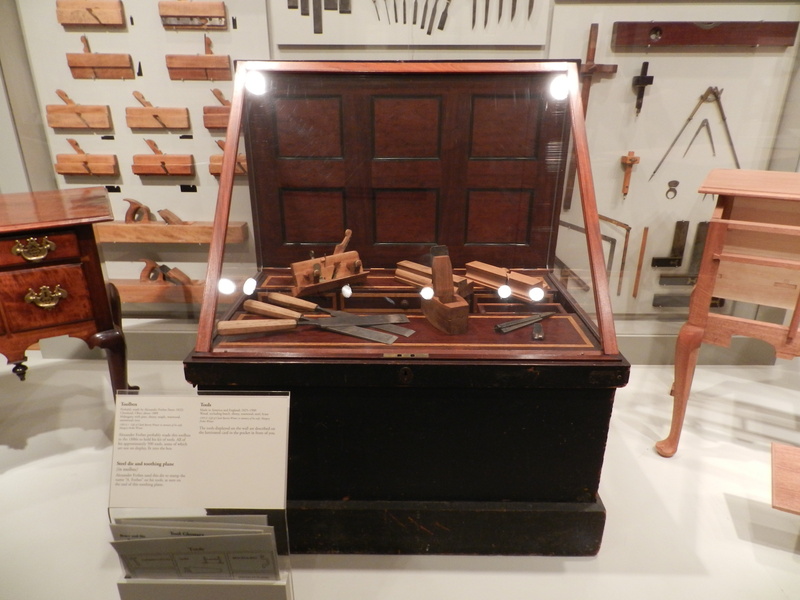 The display also went to great lengths to explain how craftsmen learned their trade, how they used various woods and how many pieces were constructed. 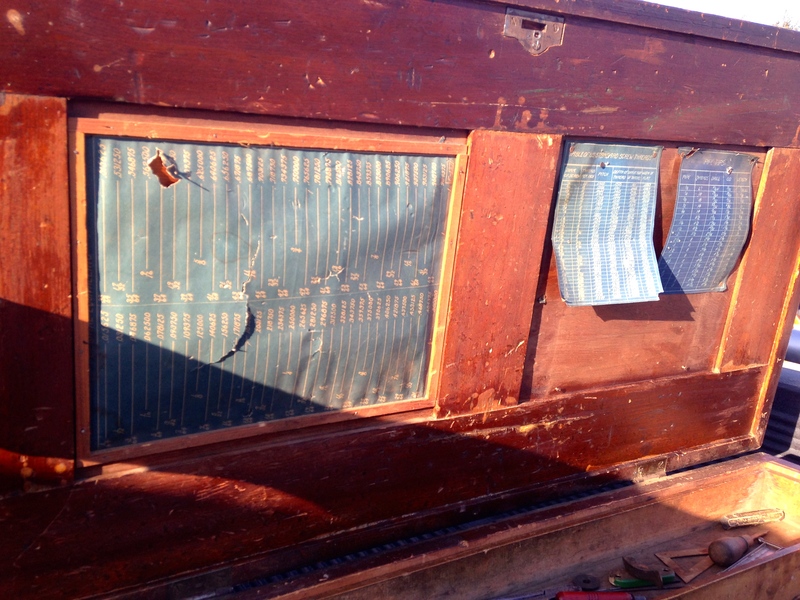 Prominently on display was the partial dressing table shown above which was put together by Steve Brown who is an instructor in the Cabinet and Furniture Making program at the North Bennet Street School in Boston. 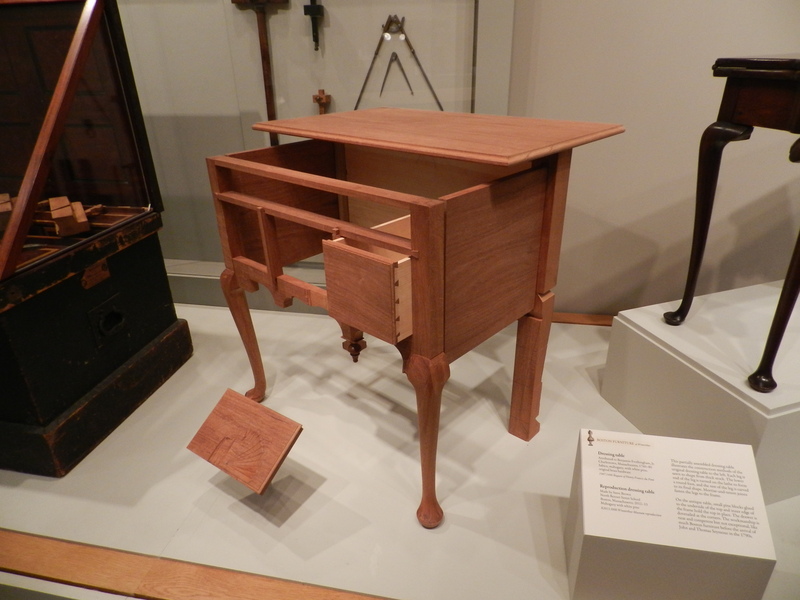 This carefully constructed sample piece concisely shows the progressive steps it took to make a piece like the period dressing table shown to the left of the tool-chest I’ve been admiring. 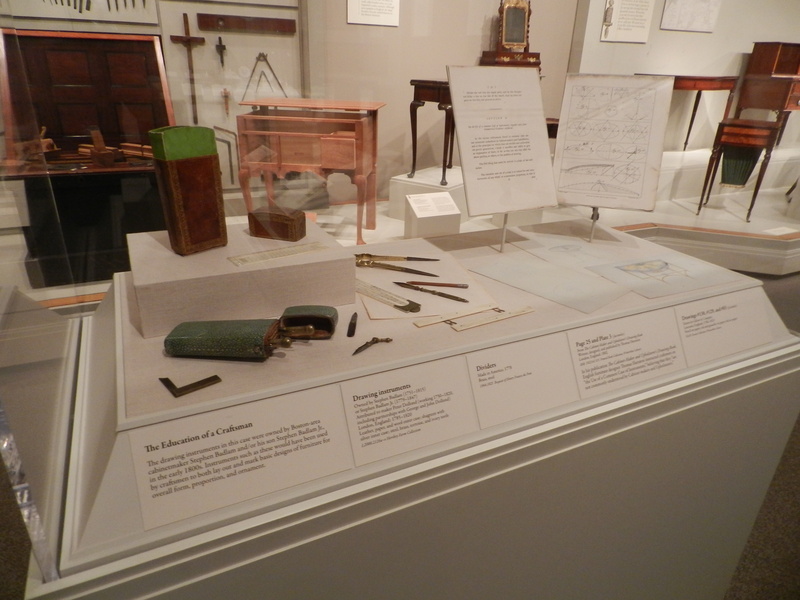 Moving beyond the intro, the display shows representative samples of ‘Boston’ style furniture in the collection and the wide variety of the objects created by Massachusetts Bay craftsmen during the last 400 years. 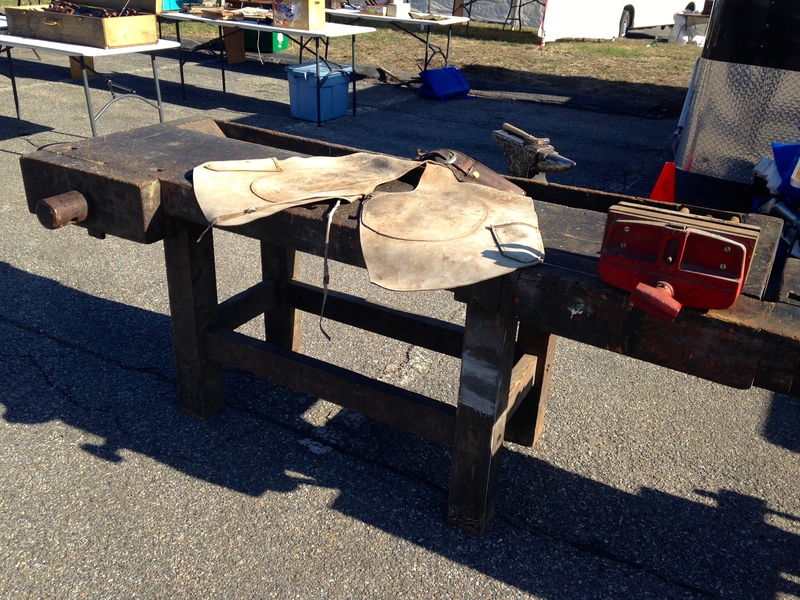 From simple utilitarian stools to high style chest pieces you get a feel for the design elements that representative of the work coming out of Boston and the surrounding area. You will need to visit the exhibit in person to fully experience the depth and variety of style I am talking about. 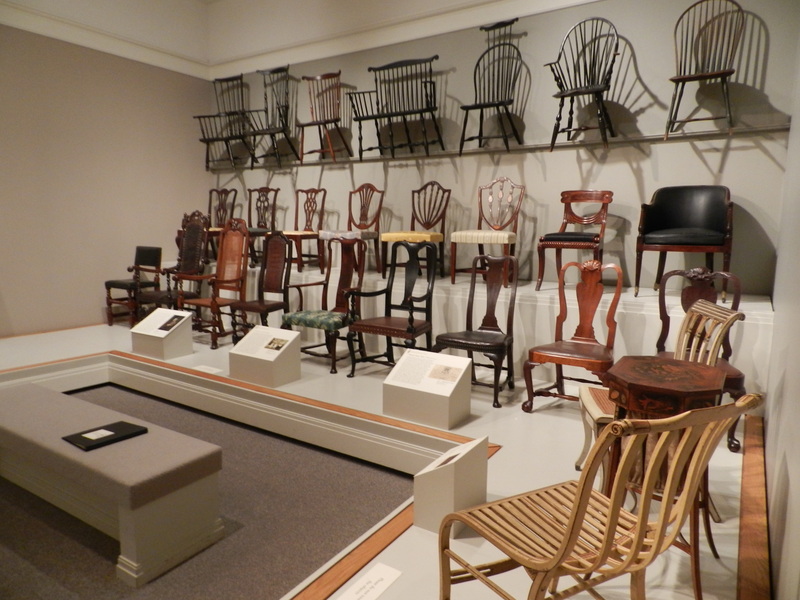 Beyond this exhibition which runs through October 6, 2013, there is a LOT more to see and explore at Winterthur. 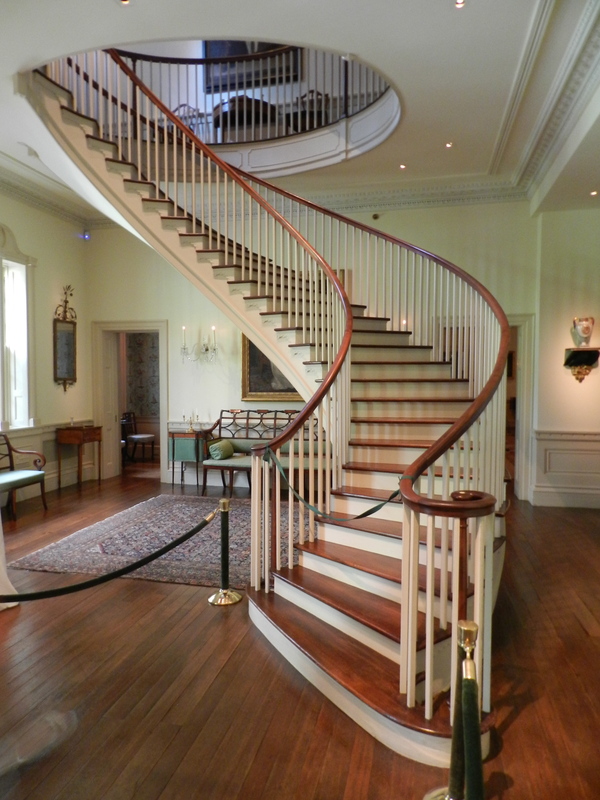 They offer several tours to parts of the house that are not part of the regular admission, including customized tours you can request, so I highly encourage you to schedule some tours of the other floors when you visit. In the fall I heard thy will also have an exhibit on the costumes of Downton Abbey which will be interesting to see along with all the great furniture, architectural elements (many rooms are furnished with the interior trim that was salvaged from historic homes around the country), and beautiful gardens. If you’d like to learn more about Winterthur, please check out their website here. 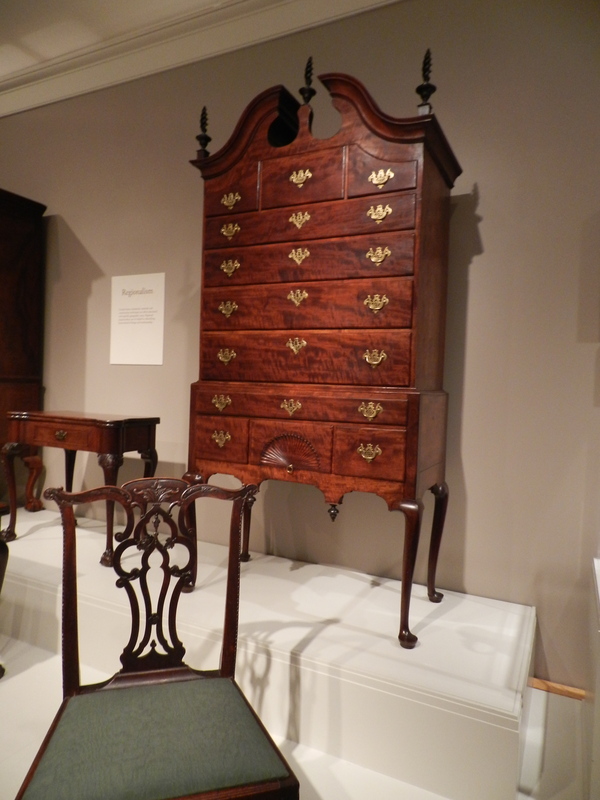 And if you’d like to learn more about ‘400 Years of Massachusetts Furniture’ which is a series of events throughout the year at a consortium of museums and cultural institutions you can learn more about it here. 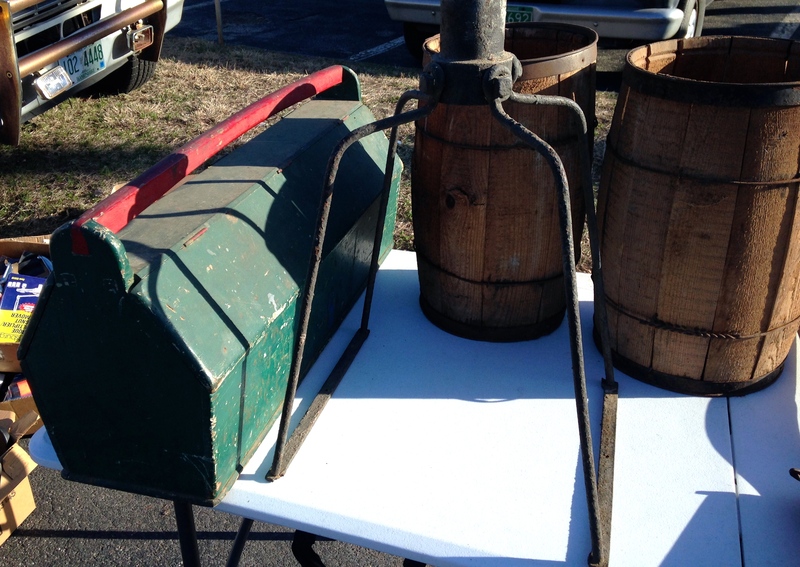 At the least you’ll learn how to efficiently pack tools in your tool chest….